The Gatlinburg Special Events Office is pleased to announce that it will be holding auditions for the 2012 Smoky Mountain Tunes & Tales cast. Smoky Mountain Tunes & Tales is a summer-long street entertainment program based on live Appalachian music, storytelling and clogging. 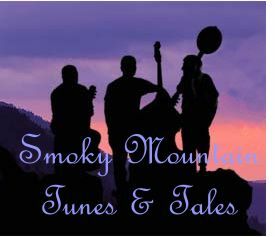 This will be the seventh season of Smoky Mountain Tunes & Tales. The program runs from June 15 through August 11. "We are looking for groups, trios, duos and solo acts that can be musical as well as entertaining," said Jon Elder, Special Events Coordinator for the event this year. "Musicality is great, since they will be interacting with our visitors right on the street our performers must also be entertaining and engaging in between songs. Personality counts a lot." Auditions will be held on March 9, 10, 16, 23 and 24 at the Gatlinburg American Legion Building across the street from Food City on East Parkway (Hwy 321). Each auditioning act should prepare to perform 3-4 songs or have a monologue to perform. All acts should center on Smoky Mountain culture, Appalachian, Traditional or Bluegrass music. Appropriate attire is not required but encouraged. The theme of the event centers on mountain culture, entertainment and music. To schedule an audition time, please call (865) 436-0505 or e-mail jone@ci.gatlinburg.tn.us. This is a professional performing opportunity, only serious inquiries please.